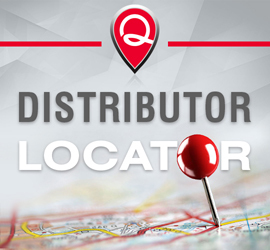 Quest Technology International offers a diverse product selection of interconnect products including UL & ETL verified networking solutions for data and voice. If you have any questions regarding certification or standards associated with our products, please contact Quest customer service at (800)280-1067 or e-mail us at sales@qtinet.com. Warranties will not extend to any product that has been subject to misuse, negligence, accident, improper installation, or used in violation of instructions; including but not limited to: electrical irregularities, lightning or power-line related damage, paint scratches or other unusual occurrences. 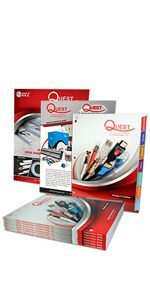 Quest Technology’s liability shall be limited to the repair and/or replacement of products and assumes no liability with respect to the use of the products including: merchantability or fitness for a particular use; assumes no liability for any consequential damages caused directly or indirectly by the use of its products or from any other cause if proven defective. This warranty extends to all Quest Technology products. Quest Technology International Inc. warranties its Cat5e/Cat6/Cat6A LAN products to be free from any manufacturing and/or material defects. This warranty extends from the date of purchase, for the LIFETIME of the structured cabling components, including: Patch Panels, Keystone Jacks, Pre-wired Surface Mount Boxes, Premise Cabling and Patch Cables. Quest Technology International Inc. warranties its active components to be free from any manufacturing and/or material defects. This warranty extends for one year from the date of purchase, and includes: Network switches, LAN repeaters, HDMI switching devices, HDMI Extenders, LAN and Electrical Testers. 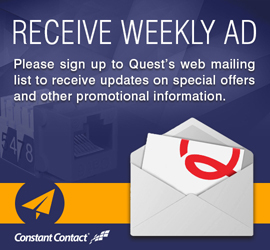 Quest Technology International Inc. warranties its passive connectivity components to be free from any manufacturing and/or material defects. This warranty extends for one year from the date of purchase, and includes: Cables, Connectors, Adapters and any other products not listed in the categories above.